Lenovo Z50-75 15.6" Quad Core Gaming Laptop AMD FX-7500 8GB RAM 1TB HDD+ 8GB SSD. 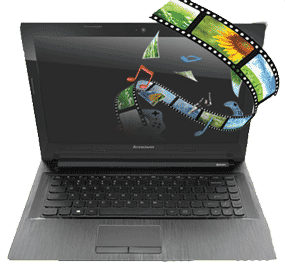 The Lenovo Z50 -75 is a slim and light multimedia laptop with an integrated DVD drive and Dolby-enhanced audio. Its optional Full-HD (1920 x 1080) display, powerful 4th processor and immersive graphics provide unparalleled multimedia performance. The Lenovo Z50-75 features a responsive processor, fast SSHD, and GPU-accelerated graphics, which make this laptop a powerful multimedia performer. Energy Manager uses advanced energy-saving technology to ensure long battery life and maximum time between charges. The Lenovo Z50-75 features a powerful 4th generation processor -- the ideal choice when high performance is required. The 4th generation processor features power reduction and battery jump, and offers up to 15 per cent faster CPU performance than the previous generation. Designed to work with Microsoft Windows 8.1, the Lenovo Z50-75 is optimised for both work and play. All your favourite apps, sites and people can be accessed straight from the Start screen and you can use all your entertainment with a tap or click. The Lenovo Z50-75 comes with an optional Full-HD (1920 x 1080) display that brings movies, pictures and games to life. Full-HD displays are a stalwart feature on premium Windows products as all applications are optimised for this resolution. 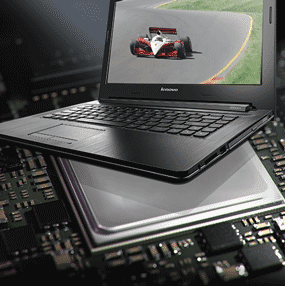 On the Lenovo Z50-75 you'll find up to 8 GB of fast DDR3L memory and up to 1 TB of Solid State Drive (SSHD) storage*. SSHDs help you to access your files much faster than traditional hard drives, allowing faster application loading, as well as reduced start-up and shut-down times. 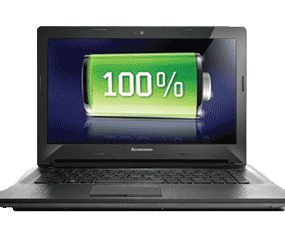 Get the most out of your laptop with the long-life battery -- the Lenovo Z50-75 squeezes every last bit of juice out of its high-capacity battery, providing up to four hours of productive life between charges. The Lenovo Z50-75 comes with multiple wireless connection options. The built-in 802.11 a/c or 802.11b/g/n Wi-Fi adapter will allow you to enjoy reliable connections to the internet, whether at home or on a public network, while Bluetooth 4.0 is available to make it easier to connect and share files with other devices. Lenovo Cloud -- Imagine your files, everywhere. Lenovo's online storage and cloud utilities allow you the freedom to choose your device and location. With 5 GB of free storage, you'll be able to secure and access your files wherever you are, on whatever machine you find yourself on. Exclusive Lenovo Content -- Discover all the amazing things you can do with exclusive tools from Lenovo. Learn how to get the most from your PC with Lenovo Companion or monitor your system performance with Lenovo Support. Lenovo keeps you up to date and delivers exclusive music, game and video content. With Lenovo Energy Management 7.0, choose between three main automatic settings - energy saver, normal, and turbo, or access further advanced settings options through the system settings menu. Protect and prolong the battery health using battery protection mode, and battery gauge.